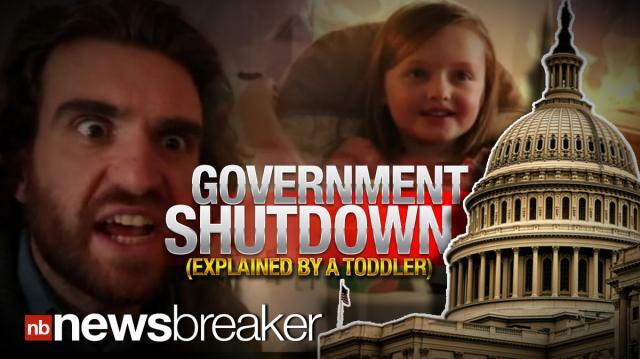 A hilarious new video from CollegeHumor.com has a toddler explain the government shutdown! In the video, a father negotiates with his toddler, agreeing with the girl that she doesn’t have to eat peas and carrots, just the peas. Then things go awry, the toddler refuses to honor her side, instead throwing a tantrum and saying she never wanted peas, she wanted ice cream.